f your bathroom looks dated and is in need of a makeover, changing accessories offers an affordable and quick way to improve appearances without touching a paintbrush. In making these simple changes, your biggest investment of time is in shopping. 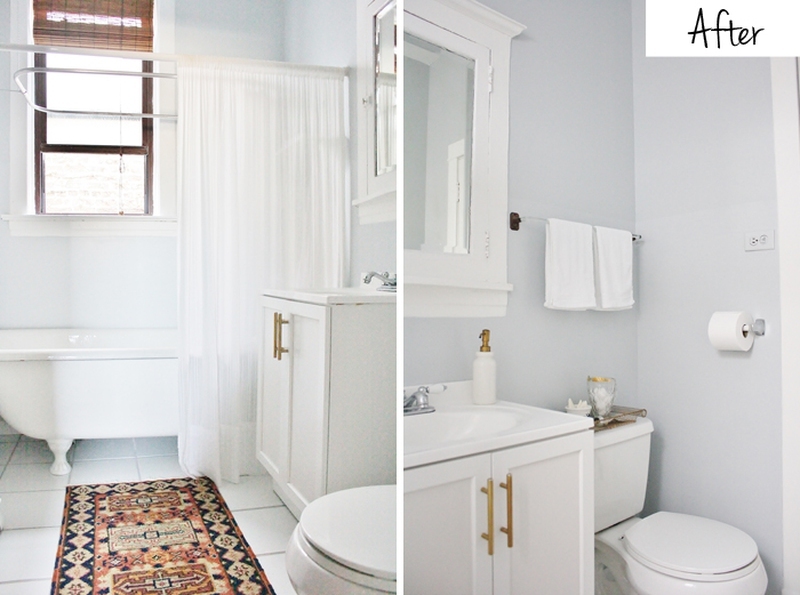 Replace faded towels with deep, rich colors to change the look of the bathroom. If your budget is tight, try mixing the colors of towels already in your linen closet for an updated look. Invest in a new shower curtain to update the look of the bath. The shower curtain is often one of the largest surfaces in a bathroom. Use it to disguise old tiles from past generations without the investment required to replace them. If the bath has a tub enclosure, adding a pretty shower curtain gives it a more finished look. Install new window curtains or blinds to match your new bathroom accessories. New blinds can also give you an improved sense of privacy. In most instances, half curtains block the view from outdoors, while still allowing light to filter into the space. If you are worried about nosy neighbors, use a full curtain or shade to keep your privacy intact. Server responsed at: 04/22/2019 8:44 p.m.